For a long time, I was a cooling enthusiast; it was water or nothing. However, as improvements have been made over the last few years, the idea of air cooling has become an attractive option. The days of drilling holes in my case for mounting radiators and clumsy water pump configurations have gone out the window. Although nothing looks as cool as a water cooled rig, it is troublesome to maintain, a bear to move to a new case, and it can get expensive. Stock heatsinks have come a long way too and, with their improvements, other manufacturers have stepped up their game. 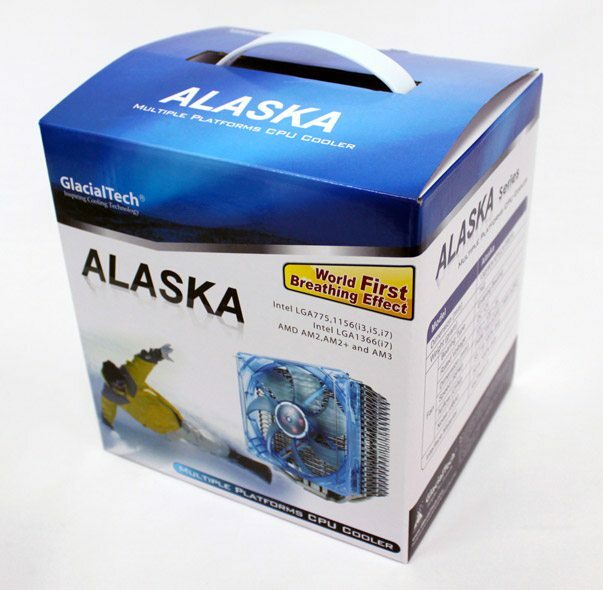 GlacialTech has an inclination that the Alaska can find itself a home in our bench rig. Let’s see if that assumption is correct. This extremely tall heatsink weighs in at 740 grams and occupies a lot of space; 130mm (w) x 101mm (l) x 156mm (h). 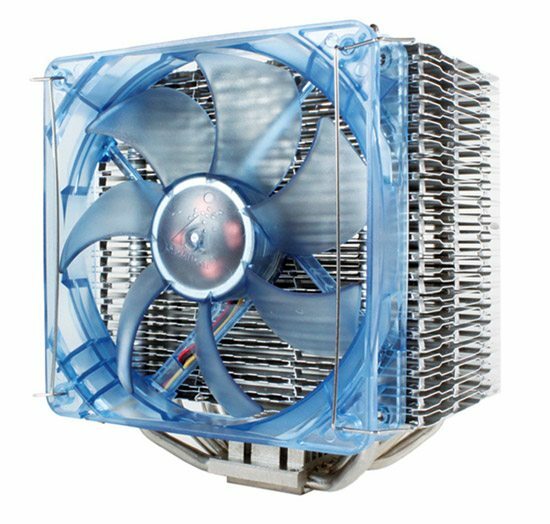 The design allows the Alaska to be used on Intel LGA775, 1156, 1366, AMD AM2, and AM3 platforms and GlacialTech swears that it is easy to install. The CPU compatibility list is extensive and ranges from Celerons to i7 Extremes on the Intel side and Semprons to Phenom X4’s on the AMD side.